Art-of-living head Sri Sri Ravi Shankar said on Thursday he was hopeful of an amicable and out-of-court settlement to the Ramjanmabhoomi-Babri Masjid dispute in Ayodhya. After meeting Maulana Salman Nadwi, the All-India Muslim personal Law Board (AIMPLB) member who was expelled recently, he told reporters that a court “cannot decide on the issue”. 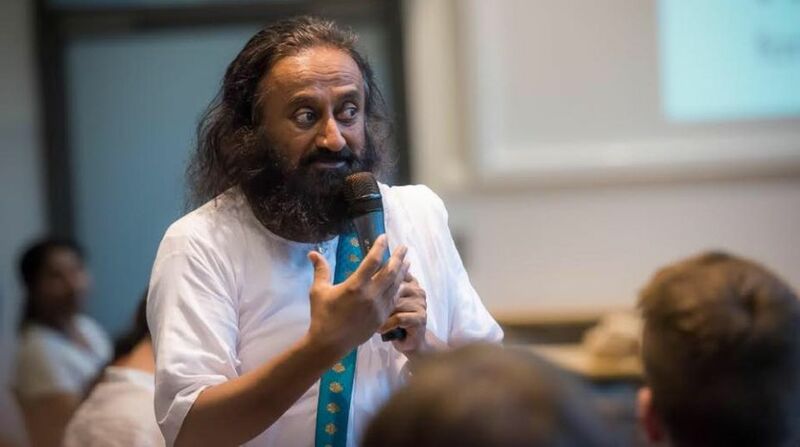 Sri Sri claimed that there was a “groundswell of positivity” from both sides (Hindus and Muslims) and added that he was very hopeful of a peaceful settlement to the whole issue that has been simmering for several decades. “We are getting a lot of love, affection and cooperation from the Muslim community in this direction” said the Art of Living founder. Earlier this week, Sri Sri met Hindu seers in Deoria and Gorakhpur and discussed with them ways to resolve the contentious issue. He has twice met Uttar Pradesh Chief Minister Yogi Adityanath on the matter. On the opposition from some sections on both the sides to his efforts to thrash out a solution, the spiritual leader said that good work and efforts have always had to walk through the path of resistance. The dispute is centred on a plot of land in Uttar Pradesh’s Ayodhya to which both Hindus and Muslims claim stake.